Chad Hoggan, Soni Simpson and Heather Stuckey, eds. This new book, constructed from Paulo Freire’s writings near the end of his life, is characterized by the eloquence of his dreams—dreams that constituted the utopia underlying Freire’s lifelong work. 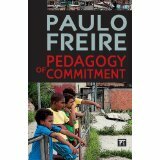 Freire challenges all educators to create Circles of Dialogues, or reflective spaces, for passionate and critical reflection that is coherent and humanizing, favoring the oppressed peoples of the world. Boden McGill, Carrie J., and Kippers, Sola M., eds. Pathways to Transformation: Learning in Relationship is an edited collection that synthesizes current research on transformative learning and expands the current knowledge-base. This book is timely and significant as it provides a synthesis of some of the most exciting research in two fields: adult education and human services. 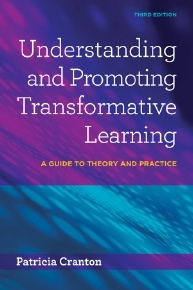 Abstract: The third edition of Patricia Cranton’s Understanding and Promoting Transformative Learning brings a wealth of new insight from the tremendous growth in the field during the decade since the previous edition. As in the previous editions, the book helps adult educators understand what transformative learning is, distinguish it from other forms of learning, and foster it in their practice. The first part of the book is dedicated to clarifying transformative learning theory and relating it to other theoretical frameworks. The author examines transformative learning from the learner’s perspective, and discusses individual differences in how learners go through the process. In the second half of the book, the focus is squarely on strategies for promoting transformative learning in a wide variety of adult and higher education contexts. Practitioners will be able to take ideas from the text and apply them directly in their teaching. Since 1975, transformative learning has become a core theoretical perspective in adult and higher education, and research has proliferated. In the past decade, adult education and especially transformative learning grew into a noticeably larger field. The numbers of undergraduate and graduate programs in adult education have increased and continue to increase as more and more individuals are seeking the expertise, skills, and training necessary to work with adult learners in higher education, business, industry, government, health professions, non-profit organizations, and community development. In addition, the number of programs in higher education (both undergraduate and graduate) that include courses in transformative learning has grown dramatically. These academic audiences use the book to further their understanding of transformative learning theory and practice. Gunnlaugson, Olen; Sarath, Edward W.; Scott, Charles; and Bai, Heesoon, eds. Abstract: A wide-ranging consideration of the emerging field of contemplative education. 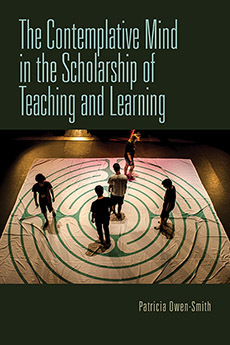 This volume aims to give teachers and scholars a greater understanding of the challenges associated with the practice of fostering transformative learning, along with providing a recognition of the complexity of practice beyond the application of strategies and techniques. Teaching for Change will encourage and motivate practitioners to take more risks in the classroom, pushing the limits of what is presently known about transformative education. Fostering transformative learning is about teaching for change. It requires intentional action, a willingness to take personal risk, a genuine concern for the learners' betterment, and the wherewithal to draw on a variety of methods and techniques that help create a classroom environment that encourages and supports personal growth. To become effective at fostering transformative learning, it is helpful to look through the lens of those who have been engaged in the practice. 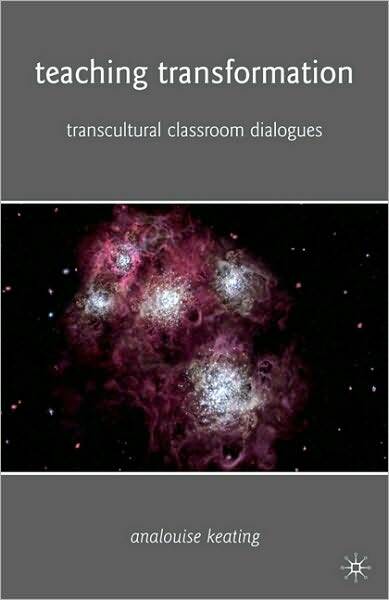 The contributing authors to this volume are seasoned practitioners and scholars who have introduced innovations that enhance the practice of fostering transformative learning and have asked ethical questions that need to be explored and reflected upon when practicing transformative learning in the classroom. This volume provides a tutorial and analysis of teaching for change by showing how these seasoned practitioners and scholars grapple with the fundamental issues associated with the subject. This new book from the award-winning author of Psychology and Adult Learning puts the spotlight on the kind of learning that brings about significant personal change. Tennant explores the techniques, processes, and practices educators can use to promote learning that leads to change and examines assumptions about self and identity, how we are formed, and our capacity for change. Throughout the book, Tennant posits that individuals can be agents in their own self-formation and change by understanding and acting on the circumstances and forces that surround and shape them. Educators, he argues, must be open to different theoretical ideas and practices while simultaneously valuing these practices and viewing them with a critical eye. •	equip individuals with a framework for understanding and being agents of their own self-formation and change. Cohen, Judith Beth; Gammel, Jo Ann; and Rustein-Riley, Amy, eds. 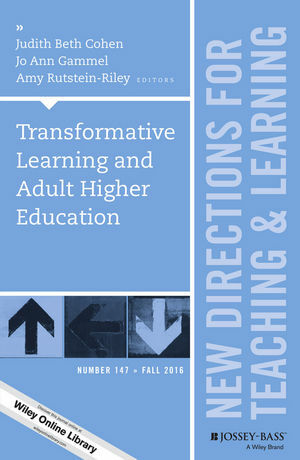 Presenting current trends in transformative learning and adult higher education, this volume paints a vivid picture of the Transformative Learning theory in action. The concepts that knit these articles together despite the variety of educational settings and populations are: relationships, community, and the body experience - often missing in higher education. - personal stories from Black women leaders, college teachers, student writers as well as pregnant women, and social service providers. This chapter explores how college students with diagnosed learning differences develop identity within the family system. This study of three African-American holistic health educators shows how their woman-centered learning cultures influenced their personal transformations and leadership roles. In an examination of six dyads of women advisors and advisees in one doctoral program, the authors found that a relational model for mentoring women can be an alternative to the authority-based approach most common to doctoral work. In this chapter, two college teachers, an African-American woman and a White man, identify pivotal events in their development as educators. Co-director of a college writing center proposes a plan for insitutional change that honors the voices of English language learners rather than expecting them to adjust to the dominant instituational culture. This chapter describes changes in the thinking and practice of eight early childhood teachers after they used visual data to complete a teacher research assignment in a community college teacher education course. A writer and teacher of nonfiction examines the widely used workshop method to show how student writers gain greater control over their choice of language, and insight into the meaning of their writing. As professors and administrators in a graduate program based upon Restorative Justice, these authors show how classroom pedagogy can model alternatives that promote personal and professional transformation. A social worker, teaching in an undergraduate satellite program in Alaska, explores how a culturally resonant degree program can overcome the barriers faced by native Yupik women attending college. A yoga teacher and practitioner explores the widespread phenomenon of yoga by focusing on its empowering effects for pregnant women and its implications for challenging the traditional medical model. The author explores how listening to the wisdom of her body was a primary method she used to interpret the competing demands and disorienting dilemmas of scholarship, teaching, and administration. How do we deal with our own sexuality as teachers and as learners in the classroom? As a seminary professor in a mainline Christian context, I find that discussing sexuality increases student discomfort levels by threatening to raise questions about the connections between morality, behavior, and bodies of those in the room – questions we have been culturally trained to avoid. In order to decrease discomfort, many instructors approach sexuality only as content-based subject matter. Particularly for ministry students, this approach can be a disservice to their discernment process and preparation for future ministry contexts, especially for those in turmoil regarding sexuality-related issues. By explicitly engaging how personal experience and cultural contexts shape our sexuality, pedagogical models can promote critical self-reflection and seek perspective transformation, not values change, as a resource for professional sexual ethics training in ministry. Mirochnik, Elijah and Debora C. Sherman, eds. When teaching diversity courses that discuss sensitive issues, such as racial, gender, sexuality, religious, and ethnic discrimination, it is possible to encounter student resistance, which can subsequently prevent students from comprehending the content. While teaching an introductory course on African American history in a Black Studies Department at a predominantly white institution of higher education in Middle America, I experienced such resistance. 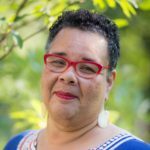 This article discusses how I initially taught the course, evaluated and then restructured my active learning approach to include reflective learning and Black Studies techniques to address that resistance. Transformative Learning Theory and pedagogies leverage disruptive experiences as catalysts for learning and teaching. By facilitating processes of critical analysis and reflection that challenge assumptions, transformative learning reframes what counts as knowledge and the sources and processes for gaining and producing it. Students develop a broader range of perspectives on and entry points for learning and behavior change engaging cognition, embodiment, aesthetics, emotions, and ethics (see Mezirow 1991 and Figures 1 and 2). The open-inquiry, multi-modal nature of transformative learning defies most traditional assessment strategies. This article demonstrates that grounded theory offers the rigorous qualitative analysis needed to document and track transformative learning outcomes in practice. By applying a grounded theory approach to data from over eighty student portfolios across several iterations of a Religion and Ecology course at Emory University, this article demonstrates a successful and replicable assessment of transformative learning pedagogies. "Conversational Learning: A Feminist Pedagogy for Teaching Preaching"
An increasing number of female students populate preaching classes in seminaries and theological schools across the United States. Based on the analysis of female students' needs and demands in preaching courses, I propose a pedagogy for conversational learning to teach homiletics. My own teaching experience and the knowledge gained through conversations with other feminist educators and homileticians are major resources upon which the principles and strategies of conversational learning are drawn. 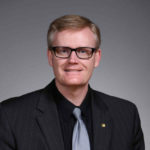 The ultimate goal for conversational learning is to enable "transformative learning" through which students transform their sense of identity, worldviews, values, ways of thinking, and enhance their unique voices in the pulpit. For this purpose, conversational learning employs student-centered, group-oriented, and inductive approaches in an egalitarian learning environment. Conversational learning is an on-going process of learning preaching in a collaborative way. By reclaiming the passions of our hearts and exploring insights and ideas, we begin a remembering of ourselves. As we begin to reclaim our wholeness, we also have the capacity to renew and revitalize our institutions from within. After a long career of writing and speaking about how living in congruence—without division between inner and outer life—allows for being present with ourselves and those who journey with us, Parker Palmer and colleagues at the Center for Courage & Renewal developed a process of shared exploration. This Circle of Trust approach encourages people to live and work more authentically within their families, workplaces, and communities. This issue explores the transformative power of engaging in a Circle of Trust. The authors examine its direct applications to teaching and learning, and they explore and discuss the research being done by the facilitators of this work. "The Historical Reconstruction of Knowledge about Race: Implications for Transformative Teaching"
A historical case study of the construction and reconstruction of race between the late 19th century and the 1940s is used to document the ways in which the social, cultural, political, and historical contexts in which knowers are embedded influence the knowledge they construct and reconstruct. "Transforming to Teach: Teaching Religion to Today's Black College Student"
Emerging from the particular experiences of the marginalized, postmodern pedagogies (bell hooks, Paolo Freire, feminist pedagogies) argue that education is more than conveying information from teacher to student. Rather education should encompass the transformative process of shaping character, values, and politics through the dynamic interaction among the teacher, the students' experiences, and the content of the instructional material. These perspectives argue that educators should reject "the banking model" of education, and teach to transform. However, religious studies with today's black college student tests the mettle of these approaches. On the one hand, historically black colleges and universities (HBCUs) have long practiced transformative education through a commitment to shaping both the minds and characters of their students. On the other hand, many of today's black college students are less receptive to transformation, particularly in the academic study of religion. This resistance to transformation is a reflection of (1) the socio-economic reality of the current student, and (2) a new black religiosity that portrays the world in binary terms. These economic and religious realities present a teaching context for which few religious scholars are prepared. This essay discusses the particularities of teaching religion to today's black college student by sharing the challenges, failures, successes, and joys of teaching religion at a small church-related, historically black women's college in the south. I will discuss the techniques that fail, and the way in which this unique context causes me to transform the way I teach religion. In the midst of a commitment to postmodern pedagogies, I feel a need to return to the banking model's establishment of authority and emphasis on content. As I negotiate with this method, I find ways to stealthily infuse transformative pedagogical techniques. I also discuss the way such a dramatic shift in pedagogy has transformed me, the teacher. "Liberal Theology and Transformative Pedagogy"
The author makes a case for the contributions of liberal theology to the transformative pedagogy that is essential for the flourishing of human beings in the twenty-first century. First he advocates the retention of liberal theology, but in a postmodern form that is open, critical, experiential, visionary, and culturally transformative. 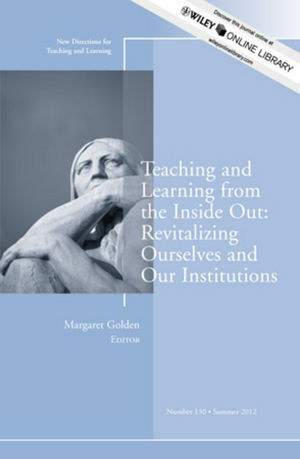 Then he demonstrates points of contact between this revisioned theology and liberal education, particularly those connections manifested in five elements of transformative pedagogy: education and life-formation, the rhythm of education, constructive and interactive knowledge, connected and imaginative teaching, and education as the practice of freedom. 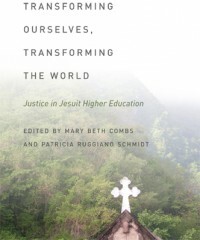 The author concludes that a revisioned liberal theology can contribute significantly to the recovery and explication of the religious dimension of education and its incumbent power of transformation. Abstract: In the current ever changing world – the liquid modernity – the most pressing psychological challenge to all of us is to create and maintain a personal balance between mental stability and mental flexibility. 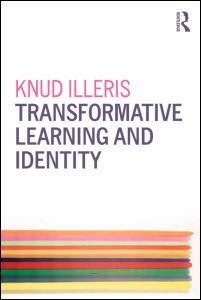 In Transformative Learning and Identity Knud Illeris, one of the leading thinkers on the way people learn, explores, updates and re-defines the concept and understanding of transformative learning while linkingthe concept of transformative learning to the concept of identity. He thoroughly discusses what transformative learning is or could be in a broader learning theoretical perspective, including various concepts of learning by change, as opposed to learning by addition, and ends up with a new, short and distinct definition. He also explores and discusses the concept of identity and presents a general model depicting the complexity of identities today. 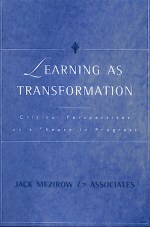 Building on the work of Mezirow, various perspectives of transformative learning are analysed and discussed, including; transformative learning in different life ages; progressive and regressive transformations; motivation and identity defence; development of identity; personality and competence, and transformative learning in school, education, working life, and in relation to current and future life conditions. ch. 4 What is transformed by transformative learning? ch. 5 Teaching the Other? Slavich, George M. and Zimbardo, Philip G.
Approaches to classroom instruction have evolved considerably over the past 50 years. This progress has been spurred by the development of several learning principles and methods of instruction, including active learning, student-centered learning, collabora- tive learning, experiential learning, and problem-based learning. In the present paper, we suggest that these seemingly different strategies share important underlying characteristics and can be viewed as complimentary components of a broader approach to classroom instruction called transformational teaching. Transformational teaching involves creating dynamic relationships between teachers, students, and a shared body of knowledge to promote student learning and personal growth. From this perspective, instructors are intel- lectual coaches who create teams of students who collaborate with each other and with their teacher to master bodies of information. Teachers assume the traditional role of facilitating students’ acquisition of key course concepts, but do so while enhancing students’ personal development and attitudes toward learning. 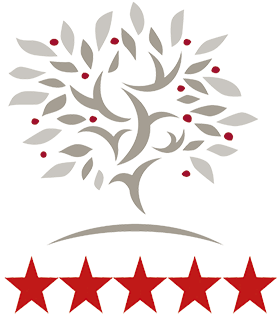 They accomplish these goals by establishing a shared vision for a course, providing modeling and mastery experiences, challenging and encouraging students, personalizing attention and feedback, creating experiential lessons that transcend the boundaries of the classroom, and promoting ample opportunities for preflection and reflection. We propose that these methods are synergistically related and, when used together, maximize students’ potential for intellectual and personal growth. Kazanjian, Victor, Jr., and Peter L. Laurence, eds. ch. 4 Studying Transformative Learning: What Methodology? An open access academic journal devoted to the practice and application of transformative education. Essays address curricular and co-curricular elements, explore active and reflective learning experiences, leadership, service learning and civic engagement, global and cultural awareness, and the learner’s intellectual, psychological and physical development. "Teaching and Self-Formation: Why the Ignoble "Intro to World Religions" Really Matters"
This paper explores the idea that the educational process plays a vital role in the formation and transformation of selves. Peter Hodgson's theological interpretation of education as paideia and Lucinda Huffaker's work on the achievement of "clarity of self" are brought together to demonstrate that empathy is central not only to evolution of self, but the educational process as well. The argument insists that introductory courses are places of immense potential for helping students in the lifelong task of achieving self-clarity. The "Introduction to World Religions" course is used as a practical illustration of the thesis.